Dettol Healthy No Touch Box Silver + Aloe Vera 1 item order online. easy to use. He helps you to maintain good hand hygiene. 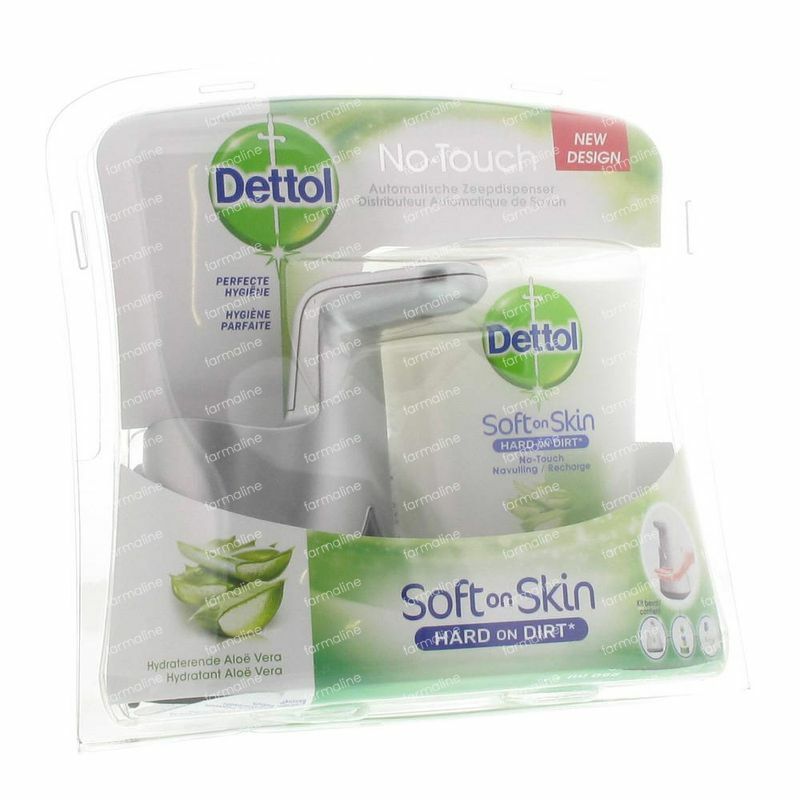 The Dettol No-Touch Automatic Soap Dispenser is enriched with moisturizing ingredients, respects your skin and simultaneously removes 99.9% of the bacteria in 60 seconds. a) Remove the tab on the cap of the soap refill and insert it into the automatic dispenser until you hear a click. b) Insert 4 AA batteries (included with the product) in the compartment provided for this purpose. Afterwards close properly. c) Place the dispenser on the desired place. Turn the distributor to the ON / OFF button on the back. d) Make your hands wet and place them under the end of the distributor. 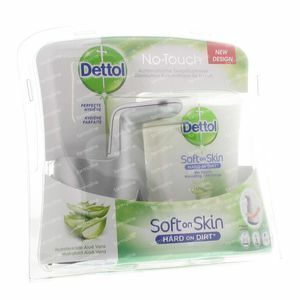 The soap comes automatically on your hands. During the first use, you may need to perform this several times. Your No-Touch automatic dispenser is now ready for use!